Have you ever had a question about the degree of cure or is your part fully cured after processing? Confused about what is gelation or how does vitrification impact thermoset curing? Want to learn how to optimize a thermoset curing process? Wondered about what is the best way to characterize a thermoset after a curing process? Or what is the modulus in the glassy and rubbery region for a cured thermoset? Or how to measure the viscosity changes during curing? You’ve come to the right place. The 41 page eBook provides useful tips and provides a “thermoset characterization roadmap” to guide scientists and engineers to optimize the thermoset curing process. 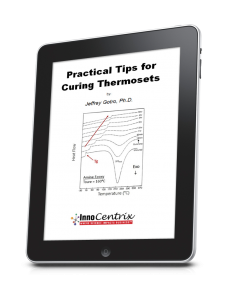 Get started now with the Practical Tips for Curing Thermosets eBook and become a more effective scientist or engineer. 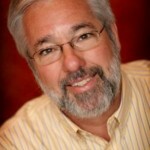 You will become the “go to” technical person in your organization on thermoset characterization.